Microbiology (Lippincott Illustrated Reviews Series) Third Edition by Richard A. Harvey PhD, Cynthia Nau Cornelissen Ph.D.
Prof. Mohammed, an academic, researcher, and public health physician gives us his lucid views on how physicians can practice medicine in an unjust world. The broad objective of the study is to appraise the readiness of West African countries to provide health care in post-conflict environments. It is particularly concerned with the building of sustainable national and regional human, material and institutional capacity in order to confront specific health problems induced by conflict. The conflict countries under consideration are Guinea-Bissau, Liberia, Cote d’Ivoire and Sierra Leone. Factors considered are the health impacts of armed conflicts and how these are addressed; the health status of post-conflict countries; epidemiological patterns; and the overall linkages between health, poverty and conflict. The study further considers the contributions of international and statutory agencies, NGOS, and regional bodies, such as ECOWAS, and the West African Health Organisation; and the provision of legal and institutional frameworks for health care. It ends with several recommendations and conclusions, notably that West African countries are not adequately prepared for health care delivery either under conflict or post-conflict; and that ECOWAS and agencies at regional level are not equipped to deal with the problems either. The Programme on Global Security and Sustainability of the John D and Catherine T MacArthur Foundation funded the research that gave rise to this publication. Adedoyin Soyibo is Professor of Economics, and Director of the Health Policy and Training and Research Programme and the Department of Economics, University of Ibadan, Nigeria. He has worked in the field of health economics for several international organisations such as the World Bank, IMF, World Health Organisation and International Labour Organisation. This popular text makes it surprisingly easy for you to gain an in-depth understanding of human embryology. Engaging and richly illustrated. It examined all aspects of human development, emphasizing both basic concepts and relevant clinical problems. It presents a week-by-week and stage-by-stage view of how foetal organs and systems develop, why and when birth defects occur, and the roles the placenta and fetal membranes play in development. The fourth edition of A Comprehensive Textbook of Midwifery and Gynecological Nursing is prepared with the realization that nurses today need knowledge and skills in technology, communication and interpersonal relations to be effective members of the collaborative healthcare team as well as to meet the demands of the changing healthcare system. Critical thinking and creativity are essential, as nurses implement care to the clients of diverse backgrounds. 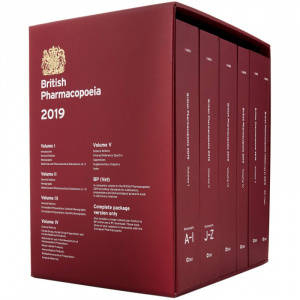 This edition of the textbook retains most of the contents, which has been well-received by the faculty and the students of midwifery, who have used the previous editions. Key Features A comprehensive and syllabus oriented textbook. Presents accurate and clinically relevant information on the subject.A student favourite textbook with comprehensive yet easy-to-understand approach.Thorough and consistent nursing process approach that will help nursing students understand and implement total care to maternity clients. Book includes 12 Sections divided into 71 Chapters with an exhaustive Appendix and Glossary at the end of the book. Study questions for thorough review of all pregnancy-related and associated conditions. This classic textbook aims to assist clinicians develop the consultation skills required to elicit a clear history, and the practical skills needed to detect clinical signs of disease. Where possible, the physical basis of clinical signs is explained to aid understanding. Formulation of a differential diagnosis from the information gained is introduced, and the logical initial investigations are included for each system. The first part of the book addresses the general principles of good interaction with patients, from the basics of taking a history and examining, to the use of pattern recognition to identify spot diagnoses. The second part documents the relevant history, examination and investigations for all the major body systems. The third part illustrates the application of these skills to specific clinical situations. The final part covers preparation for assessments of clinical skills and the use of these skills in everyday practice. The book has accompanying videos demonstrating many of the key clinical examination routines as set out in the book. Compact, Concise & Convenient. Quick & Easy Referencing. Ideal for the point-of-care. All the features of the main EMDEX minus a few details. Pharmacovigilance: Be up-to-date with drug product warnings and advisories from FDA and related agencies globally. Enhanced indexing system for quick & easy point-of-care referencing. FiFaA(Find it Fast and Accurately) is our new in-house indexing system. 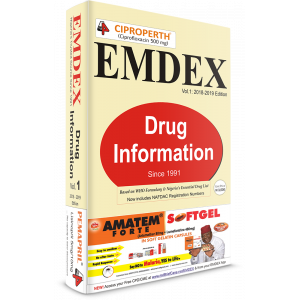 New drug monographs, updated drug monographs, and brand new drug product listings First published in 1991 as Nigeria’s Essential Drugs Guide (NED Guide), EMDEX has remained Nigeria’s trusted source for drug and therapeutic information to date. EMDEX is the acronym for Essential Medicines InDEX. Based on both the WHO Model Formulary and Nigeria’s Essential Drugs List, EMDEX is unique to Nigeria as it also details mainly the pharmaceuticals and allied products approved for use in the country. EMDEX 2018 vol.2 (Drug Information for Healthcare Professionals) – Completely revised and updated with over 5000 registered pharmaceuticals and allied products. Here are just a few of the outstanding features of the new Nineteenth Edition:Presented in two volumes: Volume 1 is devoted to foundational principles, cardinal manifestations of disease and approach to differential diagnosis; Volume 2 covers disease pathogenesis and treatment NEW chapters on important topics such as Men’s Health, The Impact of Global Warming on Infectious Diseases, Fatigue, and many more critical updates in management and therapeutics in Hepatitis, Coronary Artery Disease, Ebola Virus Disease, Multiple Sclerosis, Diabetes, Hypertension, Deep Vein Thrombosis and Pulmonary Embolism, Acute and Chronic Kidney Disease, Inflammatory Bowel Disease, Lipoprotein Disorders, HIV and AIDS, and more. More than two million medical students, doctors and other health professionals around the globe have owned a copy of Davidson’s Principles and Practice of Medicine since it was first published. Now in its 23rd Edition, this textbook describes the pathophysiology and clinical features of the most frequently encountered conditions in the major specialties of adult medicine and explains how to recognize, investigate, diagnose and manage them. Taking its origins from Sir Stanley Davidson’s much-admired lecture notes, Davidson’s has endured because it keeps pace with how modern medicine is taught and provides a wealth of information in an easy-to-read, concise and beautifully illustrated format. Key FeaturesThe opening section describes the fundamentals of genetics, immunology, infectious diseases and population health, and discusses the core principles of clinical decision-making and good prescribing.A new second section on emergency and critical care medicine encompasses poisoning, envenomation and environmental medicine, and introduces a new chapter on acute medicine and critical illness. The third section covers the major medical specialties, each thoroughly revised and brought fully up to date. Two new chapters on maternal and adolescent/transition medicine complement the one on aging and disease. A new chapter on medical ophthalmology has been included. Clinical Examination overviews summarise the main elements for each system and now feature in the biochemistry, nutrition and dermatology chapters. Presenting Problems sections provide a clear pathway for the assessment of an approach to the most common complaints in each specialty. Practice Point summaries detail the practical skills that medical students and junior doctors must acquire. Emergency boxes emphasize the core knowledge needed to manage acutely ill patients. In Old Age, In Pregnancy and In Adolescence boxes highlight differences in the practice of medicine in these patient groups, and illustrate the interfaces between medical, obstetric and pediatric services. The text is extensively illustrated, with over 1000 diagrams, clinical photographs, and radiology and pathology images. The global perspective is enhanced by an International Advisory Board of experts from 17 countries, and by authors from around the world. Myles Textbook for Midwives is the world's best-selling midwifery textbook, now in its 16th edition, with sales to 75 countries and with a large and growing market for the International Edition in Asia. Langman's Medical Embryology, 14th Edition helps medical, nursing, and health professions students confidently develop a basic understanding of embryology and its clinical relevance. Concise chapter summaries, captivating clinical correlates boxes, clinical problems, and a clear, concise writing style make the subject matter accessible and engaging to students throughout their courses. More than 400 full-color illustrations, micrographs, and clinical images clarify key aspects of embryonic development. Problems to Solve with accompanying answers help assess student understanding.